Your Las Vegas Roofing Professionals! 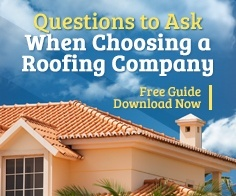 First Quality Roofing is a premier Las Vegas roofing contractor. Some of our services include new roofs, reroofs, repairs, maintenance and inspections to our residential and commercial customers. Our roofing professionals are experts in repair work and replacement roofs. We pride ourselves in professional and reliable service. You can always count on First Quality Roofing of Las Vegas with our expertly trained roofing professionals in which we can tackle any project small or large! We are State Certified and Insured so that you know the quality that you receive will be the best! Our goal is to make your decision of roofing as hassle-free as possible, whether you want to repair or replace your existing roof. We Offer a Full 10yr Warranty on Material and Labor on Complete Roof Replacements! From your first consultation to the completion of the job, our professional technicians and staff will give you the best service possible. We are proud to announce that we are now a GAF Master Elite Contractor. We are one of the only contractors in Las Vegas with this distinction. This means we are able to offer outstanding service and up to 50 year warranties on material, including installation. GAF is a respected manufacturer of quality roofing materials and awards the "Master Elite" designation to contractors who uphold high standards of workmanship and training. Only 3% of contractors that try to be GAF Master Elite's are approved. 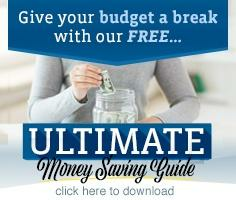 Interested in lowering your power bill? 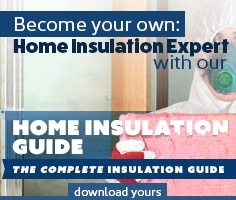 Learn about the many benefits of up-to-date insulation. 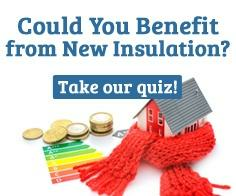 Watch our video to learn how to save money on your electric bill with attic insulation. I call First Quality Roofing every year to have my roof inspected for any damage. This year the roof needed some tiles replaced. As usual, the gentleman who came was very polite and did an excellent job! I had a very pleasant experience with the estimator and the roofer on the job. The job was well done and the clean-up was very efficient. Thanks. First Quality was the only company that followed through in a timely manner. They gave me the bid on the spot, explained what they would do, scheduled the work, and showed up when they said. Other companies were to slow to respond with a bid or gave false information about their contractors licences. I found First Quality Roofing & Insulation on Angie's List. There were three companies I asked to come to my home. Mr. Tony Hernandez came out on time and was very personable. He gave me more details as to what the job would entail than the other consultants. He also told me to expect a phone call the following Tuesday to schedule the work. I got the call when Mr. Hernandez told me and scheduled it for that same week. I actually had one roofer return to my home the next week with crew in tow trying to do the job. They told me it would be over a month away, and told me they'd contact me to schedule the date. I had my wife turn them away because I trusted First Quality. Anyway I had this loud noise occurring upstairs when it rained. It was a simple solution but the worker who came out did such an outstanding job on the repair. I was checking up on him from the upstairs bathroom window. I don't think he knew. Everything Mr. Hernandez mentioned and more was done. Of course I was waiting until rain which we got the other day to hear if the work worked. I ran upstairs to listen if the rain had ceased and while going upstairs there was no noise. My youngest was napping peacefully as you'd expect on a rainy day. Thank you, First Quality! P.S. Mr Hernandez also gave me a 10% discount as an Angie's member. Best estimate given too. We had a leak and they did an excellent job repairing the roof and matching the old tile. They also found some cracked tiles that they sealed. The job was done on time and they did an excellent job of clearing away the mess. The estimator was very friendly and honest. Another company told me I needed to replace the entire roof. I had First Quality Roofing inspect the entire roof. The inspector said it was in good shape, just a few cracked tiles that needed sealing or replacing, which he took care of for us. I's definately use them again. Billy was on time and new his stuff. He was very helpful in our decision on how to go. Roof was done on time and clean up done. Nice job guys. Would recommend First Quality Roofing. Approximately 1/4 of our tile roof was re-felted due to a leak. Work was completed in one day. Very well. All workers were kind, efficient and everyone worked as a team in a very professional matter. We were given a price by two very nice gentlemen. We were called for an appointment. Two gentlemen came and fixed and cleaned up. Billy came by to assess what needed to be done. Tiles were slipping off and some had fallen off. Also, pigeons (which I did not know about) had made a home for themselves in two separate places under my eaves. Billy was very professional, knowledgeable and pleasant. I was told precisely what should be done and given a fair price. An appointment was set and Angel arrived and started on the job right away. He obviously knew what he was doing and he was very courteous and kind. He took care of the tiles and the pigeon posts as promised and went over everything with me. In the future, when I need any roofing work I will definitely hire First Quality Roofing. Very smooth transaction from start to finish. Billy was very professional and his team got the job done in about 4 hours. Terry was prompt when coming by to give me an estimate. He had a great attitude and explained everything thoroughly. He checked the roof and showed me digital pictures of the concerned areas. We set a date and his worker was prompt to do the work. He came in my house to review the work that needs to be done. He put on booties before entering so that he doesn't track in dirt from his boots, which I thought was courteous. After doing the work, he took digital pictures of his own showing me that the work was complete and also further recommendations in the near future. This gave me the reassurance that work was actually done and to be proactive for roof leaks. I waited till after the raining season to be sure I did not have any further issues and everything was good. I was completely satisfied! Low slope repair. Exterior / porch roof / drywall + paint. Everything went fine. Crew arrived on time as scheduled and repaired leak in garage roof. They did a thorough clean up. It all went very well and we have had no problems since. Billy responded to our request for an estimate within two days. Two weeks later Angel and his crew arrived as scheduled and completed the work within several hours. Three days later, Angel returned and replaced a broken tile that had been broken during the project. These guys are TERRIFIC!! We will DEFINITELY use them again!! We had a roof leak over the east 1/2 the garage area due to slipped tiles and damaged felt. Terry came out and spent a good amount of time explaining roofing jargon and repair techniques. Examined the garage roof and provided an estimate. This occured on Sept 15th. The repair crew arrived and completed the contracted repair which included removal of all old roofing materail, apply new felt, replace damaged tiles and install a bird stop on that side of the garage. This all came with a 10 year guarantee. After the last big storm our garage is nice and dry. In addition, the crew did a good job of cleaning up the work site and took all trash etc with them. All went well and the repair crew were very professional. We would have them back if more work is needed. The company came free to five a bid for the work and they came on date scheduled and on time. Completed work very efficiently, cleaned up after themselves and did a great job. Very nice and respectful gentlemen! I would recommend them to anyone! This company should be on top of Angies’s list! Complete home installation & complete home new roof. Each & every first quality rep was so nice & professional. I couldn't be more happy - A job well done. Terry patiently inspected several areas of the roof to pinpoint the possible causes of the leak. He inspected the roof section by section, took multiple photos, and measurements to determine the scope of the repair. His cost estimates are very competitive comparing with the other vendors'. He made a few suggestions as how to do the repair correctly. Angel, the roofer who did the actual work pointed out a couple of other areas that needed special attention, he patiently explained to me what he would do to make the repair right. Billy - always on time. Very helpful - knowledgeable. Scheduled service date. Workers arrived on time, efficient. Nice cleaned up. They were prompt and professional. Job was done quickly and done right. Went very well.